I can't believe I'm still posting about Christmas after it has passed. In my last minute forgetfulness I got my chalk board done on my door. I did get it done before Christmas but just forgot to mention it along with this wonderful new book on chalk lettering that I wanted to share with everyone. If you got an Amazon gift card this year for Christmas, you might want to consider purchasing The Complete Book of Chalk Lettering. 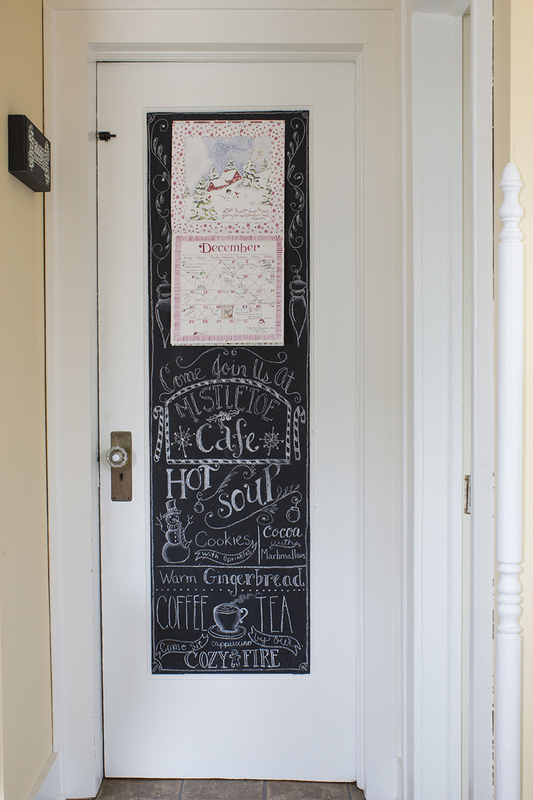 You can check out my chalkboard the year before on last year's Christmas post. on Amazon. I suggest you check out her blog if you love chalk art like I do and then you should also check out her Etsy shop. This book is so unique because there is a place on the inside covers of the book to practice your lettering. I'm much happier with this years chalk lettering on my door. What do you think? It looks great! If a gal does such beautiful work, I'm all for it. I don't. Ha! Love it, well actually both of them and the Susan Branch calendars you use. I also like the old typewriter with what I assume is a letter to Santa in progress. I have an old one like that sitting in my basement. Maybe I'll remember to that next year. Happy New Year! I love it, Merry Christmas, and a very Happy New Year. I do have a gift certificate...hmmm! 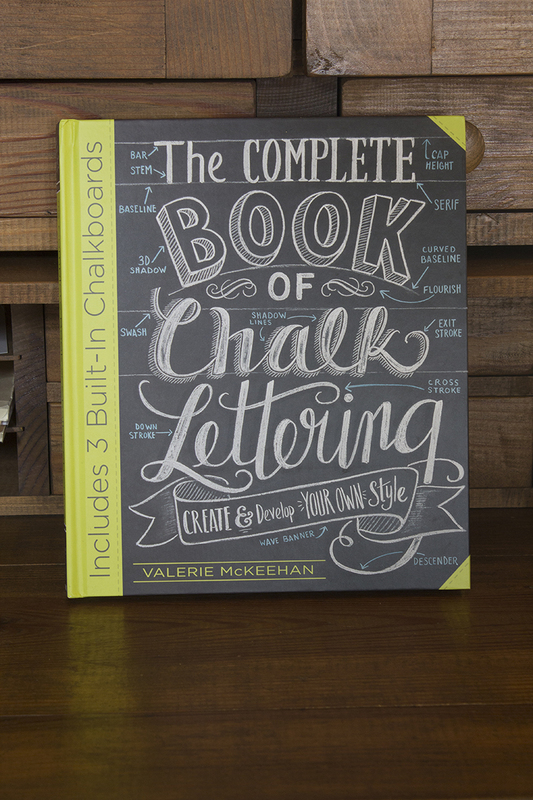 I hadn't even thought about a book on Chalk Lettering until you mentioned it! Now I'm intrigued!